What is the reason behind this choice? How is the tilt angle determined? I'm pretty sure that has to do with reflections especially at night. 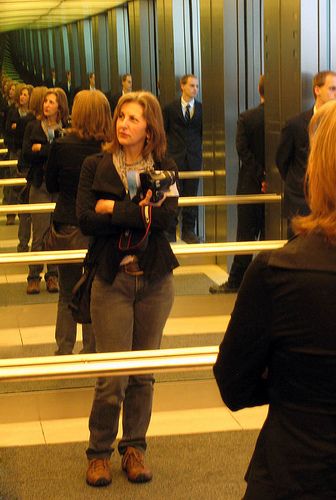 If you have ever stood between two mirriors you will understand the infinity mirror. Light bounces back and forwards between the mirrors so when you look into them it appears like the scene goes on forever. Window glass reflects a certain amount of light, like a mirror. In a control tower, where windows are all around you, if the surfaces of the windows are parallel you get that infinite mirror effect. During daylight hours this can be seen as glare, but at night when you are trying to see that navigation light on Flight 594 amid a sea of runway and taxi-way lights, having your vision further confused by a myriad of reflections from the back window would be a bad thing. Further, since the room is a glass box, light can bounce all the way round the room. It would be quite possible to look off to your right and think so you see an unidentified aircraft approaching, but be actually seeing some truck's lights on the hill a couple of miles away over your right shoulder. Tilting the windows outwards means the reflection angle is towards the ceiling, which is generally painted black, and the effect goes away. Of course, for all this to work, the ceiling should be dark. A few other reasons include, less affected by rain, fewer refraction effects, and external reflections. Bonus feature, less greenhouse effect and AC bills. Downside... darn hard to clean. The glass is the most transparent and easiest to view through when it is strictly perpendicular to the line of view. Otherwise it scatters the passing light, adding "fog" that makes remote objects more difficult to see and identify. Following Lambert's cosine law, radiant intensity observed from an diffusely reflecting surface is directly proportional to the cosine of the angle θ between the direction of the incident light and the surface normal". At the right angle, cos(90) = 0, so. This should be much more noticeable when the glass is not perfectly clean (see also here). If this assumption is true, the slanting angle should be such that the glass is perpendicular to the most usual line of sight into the ground from above. As other answer suggests, avoidance of the direct reflection (this is is not a diffused scattering) may be another reason. Railway control towers, where present, also have the similarly slanted windows. As FAA (Order 6480.7D) used to put it: Positive tilt outward eliminates reflections from consoles and provides shading at high sun angles. Another reason for tilting the Visual Control Room (VCR) windows is less deposits and less need for cleaning. This is particularly important to avoid rain impacting on the controller's ability to see from the tower. In fact, many other typical planning and design requirements for control towers (and for airports in general) are based on visibility, such as the use of dark ceiling tiles in the VCR, restricting the use of solar farms in and around airports, or the highly controllable VCR room and desk lighting, among others. The tilt angle is determined by the appropriate authority, which depends on the country but in the USA is the FAA. From my experience, tilt angle is usually set between 15 degrees and 20 degrees. Another fun fact is that the increased sun shading provided by the window tilt helps keep the VCR cool. Keep in mind the VCR is essentially a greenhouse! I'm not building control towers, but I think one reason would be to allow for better viewing of what happens on the ground near the tower. 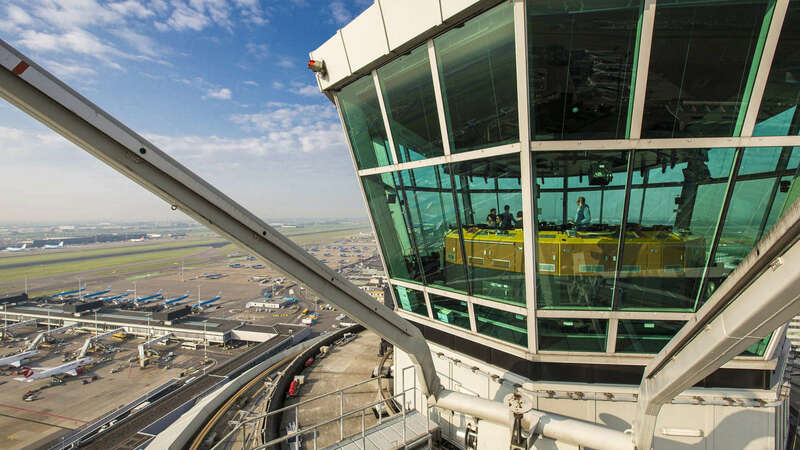 It may not be needed so much with an airport control tower as a railroad control tower (and most are using screens anyway), but there is also the comfort for passengers that a control tower looks like what they expect: Up there there are people looking down on the airport and making sure we are all safe. If the windows were vertical or slanted upwards, it would look "wrong", and signal that the people in the tower weren't interested in little me on the ground. Not the answer you're looking for? 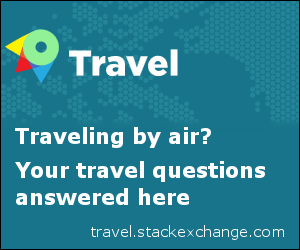 Browse other questions tagged air-traffic-control airport-design or ask your own question. What's the process for an uncontrolled airfield to become controlled/towered? How are CPDLC VHF messages transmitted between ATC and aircraft? When can a tower's callsign differ from the airfield name, and how do I find the proper callsign?